Developments in technology come with a price. History can teach us how we can shield ourselves from losing our privacy. Although college education has come under attack as of late, one valuable lesson from my experience was studying overseas. Whenever I have the opportunity, I always encourage students to consider studying abroad. Despite the hackneyed phrase, my education overseas did indeed change my life. For Americans reading this, you never realize the bubble you are living in until you step outside of it. Only after living in another country was I truly able to appreciate how massively large our planet is. Of course, you could say the same thing living in America, but for me it took a leap outside the continent to truly comprehend our planet’s size. In my final year of university education, I lived in East Berlin. For better or worse, this city seems to constantly be the focal point of world affairs, having changed so much between wars, both hot and cold. As of this writing, Germany is once again the center of news with the migrant crisis taking forefront. Prior to living in Berlin, my knowledge of the conflict was cursory at best. This is another benefit to living overseas, especially for Americans studying current affairs. Having the ability to physically see or observe places where events took place create a level of understanding a book simply cannot provide. To bring up another hackneyed saying, I look at the state of privacy in the world today and feel history repeating itself. Ask anyone who lived under the former East German state about privacy, you’ll encounter a perspective most Americans never considered. Known as the Stasi-Akten, or files of the Stasi, in the pre-internet days, the East German Stasi collected massive amounts of data about all citizens. Sound familiar? As I learned during my studies, the Wall was built not to keep people out, but to close them in. And the only way to contain people who are essentially prisoners in their own country is to establish a strong apparatus that keeps their thumb closely on its citizens. The Stasi became the physical representation of this apparatus. 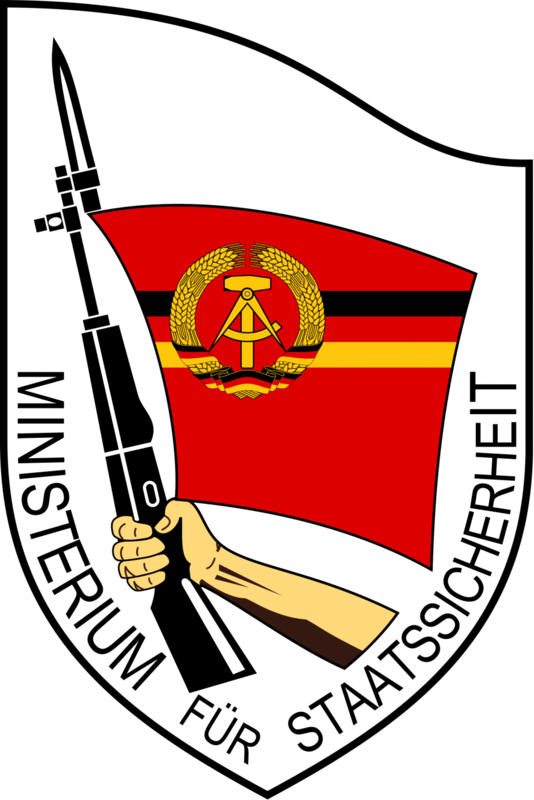 Stasi, is an abbreviation for the former East German State Security Service. Like most of the German language, the full word appears grossly intimidating to a foreigner’s eye: Staatssicherheitsdienst. I guess the word was long enough that even Germans opted for the abbreviation of Stasi. On a side note, if you wish to explore this subject further, I strongly recommend visiting the Stasi museum in Berlin. The Stasi were essentially a massive spy network who kept tabs on citizens, and especially any dissidents. Under the German Democratic Republic, snitching on your neighbors, co-workers, friends, and even family members was encouraged. It was a dog-eat-dog type of system where everybody was under scrutiny. 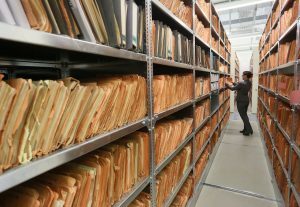 When the tide was turning in the final days of the Cold War, the Stasi hastily tried to destroy the records they kept in Erfurt, the office headquarters. A group of brave citizens would later occupy the buildings to prevent further destruction of the documentation. For history’s sake, these efforts of valor preserved the records for posterity. 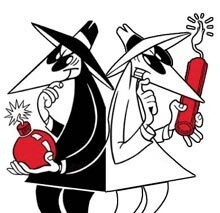 As the Cold War ended, citizens would later visit the archives to read their own files and see what intimate details a faceless, state run apparatus had compiled about them. In the former East German Republic, free expression did not exist, something many Americans seems to take for granted. The consequences for holding an opinion against the state could be extreme given the fact that anyone could hang you out to dry. Since anyone could turn you in, a sense of mistrust is the only way one could proceed through life under such a system. 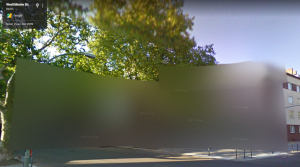 It is not uncommon for Germans to block Google Street View from displaying their private residences or businesses. Observing German behavior to technology allows us to understand a real life application of learned history. Although Germans have embraced new technology trends like all other countries, their approach reflects the wounds of history. Consider that many private residences and even public businesses are blotted out on Google street view, the above example I found at random in less than a minute. The initial distrust of this technology is for good reason; Germans don’t want a faceless behemoth to know where they are living because nearly half of the country still hasn’t forgotten the experience. Having lived in Germany, the friends I made on Facebook were far less willing to divulge as much information as their American counterparts; most of my German friends use pseudonyms. Although they are using Facebook, they share far less than others, especially personal details. This latent sense of mistrust reflects a culture that once had to live in a time where the right to privacy did not exist. If we can learn anything from history, it is to know that our privacy is a privilege; at the end of the article I make suggestions as to how we can better engage with these tools. In case you think I’m exaggerating, consider the recent experiment performed in the UK, where a simple like of a page at coffeeshop allowed the undercover team to ascertain far too many scary details about their patrons. The rapid pace of technological development has led to the arrival of a variety of new applications and tools which I feel had innocuous births. In my heart of hearts I feel the original intent of Facebook was to use technology to know who lived in your dorm room and what they looked like; that Google sought to trim and manicure the chaos that the Internet was rapidly developing into; and that Twitter wanted to give anyone in the world the ability to share their voice from the convenience of their phone. From this perspective these tools appear benevolent in manner. Each in their own way though, their success has come with a price. These firms have developed into their own type of Frankensteins which appear out of the control of a single individual or owner. Consider, for example, Facebook’s efforts to better control the hate groups on its platform, or the steps YouTube has taken to police hate content. My hesitation in fully trusting this new technology isn’t born soley from my time overseas, it also comes from a gut level instinct. I’ve never fully trusted these platforms, especially as they’ve grown bigger and become more pervasive in our lives. 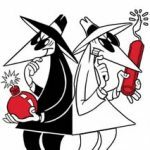 Going back to the Stasi, imagine for a moment if they possessed the technology we do today. Their work would essentially be done for them. Put in this historical context, that should scare you, because it scares me. Yet we willingly volunteer deeply personal information about ourselves on a daily basis: our location, loved ones, travel plans, even what we are eating! This does come at a price, I just hope that my worst fears don’t materialize. There are always the fringe group of people who are removing their social media presence, or completely dumping the technology. Bear in mind that when books first came out, they were met with scorn. Prior to books, stories were passed on orally via rigorous memorization, the status quo at the time felt that our brains would become lazy if the words were recorded for us. When television first came out, many felt it would erode the family structure as everyone would be glued to the screen non-stop. In both of these examples, I find a small nugget of truth by those distrustful of the new technology. I think our minds would be sharper if we took more advantage of our brain’s amazing storage capacity, a language being one way to harness this. I also feel those who felt threatened by the television did have a point because some families behaved the way they predicted, but not all. This is why I feel there can be a happy medium with technology. We should exercise caution as I’ve warned but it’s not going away, in fact it will only grow to some level we can’t yet foresee. Running away from the technology is not the answer, but remember that as users we actually hold the cards. Similar to the power structure in a labor union, it is the collective action of the people who can drive change, but something as large as these platforms will take generations of understanding and learning to adapt to. My suggestion is to continue to use the platforms but to maximize your advantage. Should we all follow the guidelines I’m proposing, the technology will be forced to adapt to us. You’ll notice that Facebook and other applications want you to tell them as much about yourself as possible. It may feel good to have a “completed” profile but all you are doing here is making yourself an easy target for annoying ads. Because so many people are easily giving their information, you currently suffer no penalty for volunteering nothing. You can extend this as far as you want. You don’t need to use your real name or even your own photo. You can also share as little as you want. The beauty is that you still can enjoy all the benefits of the platform but have given up nothing in exchange. I find this is a better compromise than taking yourself off the platform completely. Unless you are trying to market your own brand, which should be a different account than your personal one, I strongly recommend sharing nothing public about yourself on Facebook. There are only disadvantages for literally anyone in the world to know things like your physical location, place of employment, or areas you’ve traveled to. In the old days, people used to drop off their travel photographs to the photo lab for development after the vacation. I make the same suggestion here, don’t share your travel itinerary, there is no benefit to doing this, and put your travel photos after the event. People will still know you traveled. I’m old school in the sense that I’d rather enjoy the trip for what it’s worth than document every moment. Of course you want to take photos, it’s normal but removing the burden of documenting everything for the sake of Facebook friends should make the trip more enjoyable. I actually began enjoying my travels after I stopped posting on Instagram. Facebook does a poor job of allowing you to easily categorize your “friends.” This is my biggest dissatisfaction with the platform because there are some things I only want to share with those close to me. It takes effort but you can move your close friends into a group where only they can see what you are sharing. I feel this is the best compromise, unless you really want your co-workers, their friends, and friends of your friends to know about your diarrhea. We are ultimately the ones to judge how close we should get to our co-workers. It’s rare to work in the same place for a long time these days which is why I don’t think it is wise to allow co-workers into your private life, especially if you are new in the company. This is why we have LinkedIn, which is essentially a social network for business professionals. As I’ve reiterated, the technology is not going away but it is in our hands as to how we mold and shape it for the future. I’d be very curious to hear your thoughts on my suggestions, feel free to comment below.